Here’s a look at how 3D printing can be used to develop cars that run on less fossil fuels. 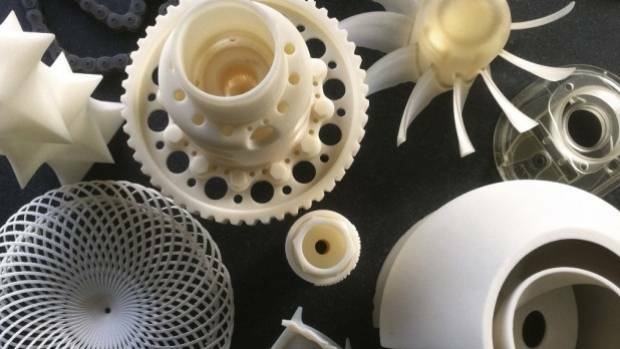 Will 3D Printing Reduce the Need for Fossil Fuels in Consumer Vehicles? If you haven’t been living under a rock, you know that there are a lot of people screaming and yelling about oil prices and fossil fuels in general. Some are frightened because they see the prices rising, others because they worry that the supplies will run out leaving us empty handed, and still more are concerned about the very nature of the fossil fuels’ extraction and usage. Without wandering down the path toward a college course in economics, there has been a shift in attention from the non-negotiable (or nearly so) supply side approach to the problem to an emphasis on the level of demand. When concentrating on supply, concerns arise such as the growing belief that the Saudis don’t have as much oil as has been believed, or the failure to discover any new large oil reserves. When the focus is on the demand side of the oil equation, efforts are aimed at reducing the amount of oil that is used. That doesn’t always take the form of calls to live off the grid eating only what we can farm and forsaking the glories of the iPod and gas-powered vehicles in favor of drum circles and walking. When companies produce goods that require consumers to purchase fuel, they must respond to the concerns expressed by those customers and create products that are more fuel efficient. It’s less of an energy revolution and more a case of making modest cutbacks. It isn’t quite as exciting, and it may not save us in the long run, but it does possibly prolong the period before crisis. One of the ways that companies are responding to consumer distaste for high oil prices is through the creation of more fuel-efficient vehicles. This where 3D printing arrives on the scene. The creation of vehicle components through 3D printing has allowed for a marked decrease in the weight of those components. Less weight means less energy is required to move, et voilà: increased fuel efficiency. Ford is creating a new model of F-150 that is 300 lbs lighter than the models manufactured previously. Some of the vehicular weight loss is a result of using lighter carbon-fiber materials for a variety of its components. It has been estimated that the amount of lightweight materials integrated into vehicle manufacture will more than double in the coming decade. Part of that rapid weight loss will come from lessons learned from aviation. Manufacturers of today’s airplanes are using 3D printed parts that are created in a single piece to eliminate the added bulk that came from using bolts and screws to hold multiple components together. This shift in manufacturing techniques from machining to 3D printing will allow Airbus to soon produce a plane that is nearly 30% lighter than conventional aircraft. With auto manufacturers responding even more directly to consumer desire for more fuel-efficient vehicles, we will definitely see them take a tip from aeronautics’ playbook in the near future. Now, we just need a print bed large enough to turn me into the ultimate additive manufacturing/soccer mom on the block. What do you think? 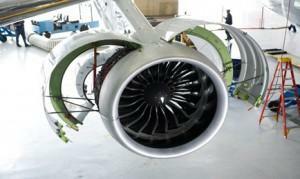 Will 3D printing lead the charge to increase fuel efficiency and lightweighting? Let us know your predictions in the 3D Printing and Oil forum thread at the forums at 3DPB.com.